The Department of Mathematics aims to offer programmes of highest quality to our students. We strive to impart knowledge and skills in Mathematics that are required of a graduate offering Mathematics as a subject. 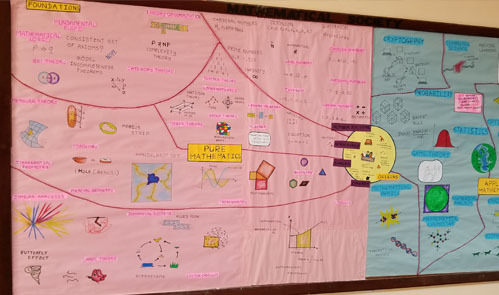 Our courses have been designed to facilitate learning and understanding in such a way that the students gain an appreciation of the power and beauty of Mathematics which is indispensable to the modem way of life. provide opportunities to students to develop competence in a wide range of courses in both Pure Mathematics and Applied Mathematics in an environment conducive to learning. offer special programmes (Jointly with other departments) that prepare students for careers in business and industry. equip students with problem solving skills which can be used in real-world situations. prepare students to become independent learners which enable them to pursue lifelong learning. encourage students to acquire soft skills which are considered essential by the potential employers. provide support to staff in career development. 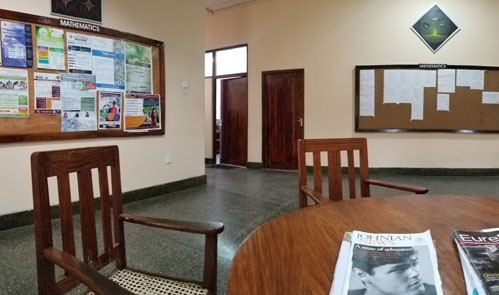 The Department of Mathematics was initiated in the late fifties as a teaching unit in the Faculty of Arts with a lecturer–in–charge. In this unit, Pure Mathematics subject was taught up to the Bachelor of Arts (General Degree). 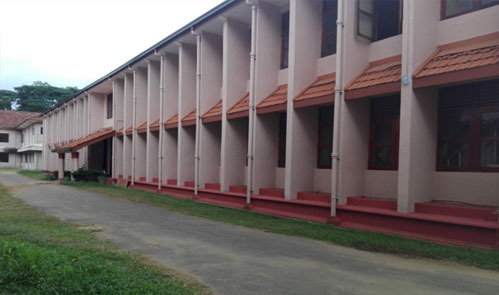 When the “Second Faculty of Science” of the University of Ceylon was established in Peradeniya in 1961, the present Department started to function. 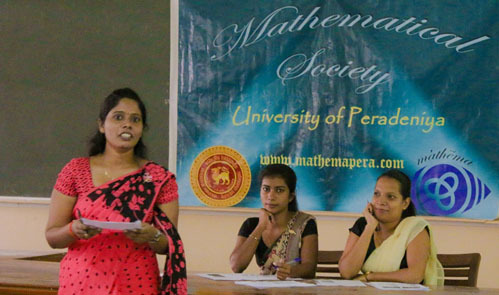 However, the main Department of Mathematics remained in Colombo. The single subject “Mathematics” was compulsory for all Physical Science students and Engineering students in the first year of their undergraduate studies. 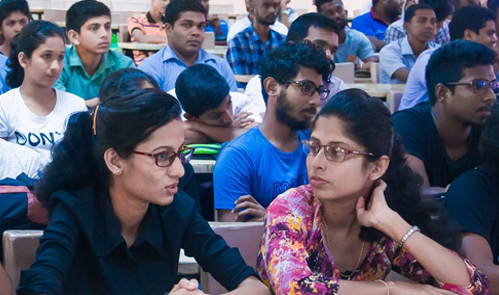 Students who wished to pursue higher studies in Mathematics and have performed well in General Science Qualifying Examination were selected to follow the Special Degree Programme and were transferred to Colombo. The subject Pure Mathematics was compulsory for the B.Sc. General Degree Programme. The first batch of the Special Degree Programme conducted in Peradeniya was passed out in 1969. Even at present the Department is maintaining a high quality Special Degree Programme which has an international recognition. In fact many of our graduates are admitted to very prestigious academic institutes in Sri Lanka as well as in foreign countries for postgraduate studies. In the early seventies, when there were reforms in the Bachelor of Arts (General) Degree curriculum, Basic Mathematics for the General Arts Qualifying and Ancillary Mathematics as a subject for the Bachelor of Arts were introduced and conducted by the Department. Over the years the Department of Mathematics has produced several hundreds of Bachelor of Science Special Degree graduates in Mathematics and several thousands of Bachelor of Science General Degree graduates. They are employed all over the world, in diverse fields. In Sri Lanka, our graduates are attached to the Ministry of Education, Central Bank and Commercial Banks, Survey Department, Department of Census and Statistics, Department of Inland Revenue, Department of Meteorology, etc.